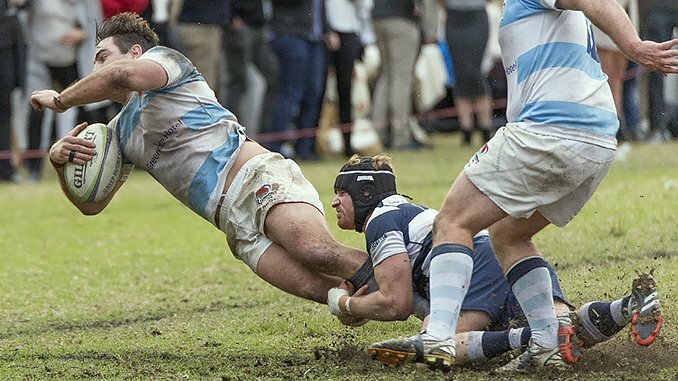 In a statement on Friday afternoon, NSW Rugby Union has reduced the number and severity of sanctions that it had imposed upon Lindfield Rugby Club for fielding a paid player which was in direct breech of the Union’s amateur status. Earlier this year, Lindfield Rugby Club breached NSW Rugby Union Amateur Status Policy when it fielded a West Harbour player Tala Moli that had been paid a $600 fee to play three Games, including playing at the Lindfield annual “Ladies Match” on July 16th. NSW Suburban Rugby Union found out and took strong action against the club. The payment was made by one of the Lindfield Rugby Club committee members out of his own pocket and without the knowledge or approval of other committee members. Suburban Rugby Chairman Paul Timmins called the matter “disgraceful” and pointedly asked all clubs to “take careful note” of the ramifications and the Board’s resolve to stamp out player payments, a position that it has taken since 2013. NSW Suburban Rugby Union imposed a series of sanctions against the club and the individuals involved in the payments which were of a size and scale not seen before, demoting the club from Div 1 to Div 2 and giving the main culprit, Pat Lang, a lifetime ban from any on or off field position in the game along with the 1st Grade Coach, Adam Coughlin, a five year ban. Lindfield immediately reacted to the decision by having their board stand down and appointed an interim committee to appeal the decision, led by former president Tristan Warner (2007/9). Lindfield’s appeal was heard by NSWRU on August 25th and on Friday 16th September it was announced that Lindfield Rugby Club would have several of their sanctions lowered or removed. Lindfield are to start the 2017 season in Div 2 but the points deficit which had been imposed will now be removed. Lindfield will not be eligible for promotion back to Div 1 until 2019 no matter where they finish at the end of the season. This concession has been given whilst imposing a $10,000 good behaviour bond on the club for the next five years. Pat Lang’s lifetime ban has been reduced to fifteen years, whereas Adam Coughlan’s ban is to remain at 5 years. In statement made by the club it said “Whilst we remain disappointed both with the Board’s findings of blame attributed to the Club and the severity of the sanctions imposed on both the Club and the two individuals, this positive outcome will allow the Club to commence preparations for the 2017”. On its Facebook page, Lindfield have received many messages of support including sponsors for next year.